Gray and red may not be two colors that one would think go together, but it surprisingly looks pretty good. If you have a Galaxy Nexus and are running the Android Open Kang Project’s Milestone 4 build then you might benefit from checking this one out. Big shout out to Zathus over at RootzWiki for going with something out of the ordinary and new. You must be on AOKP’s Milestone 4 build in order to flash properly. 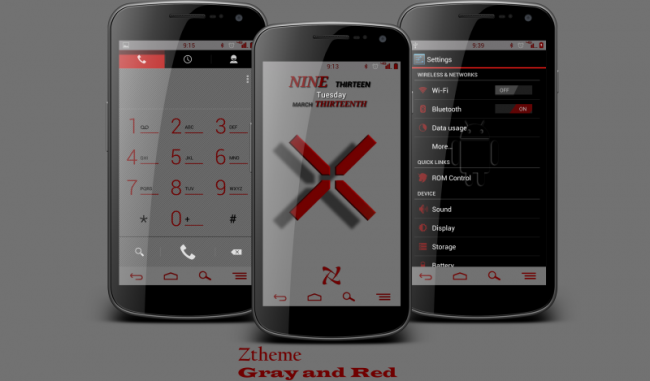 Find theme zip and install. Be sure to let us know if you have any questions and we’ll do our best to field them!